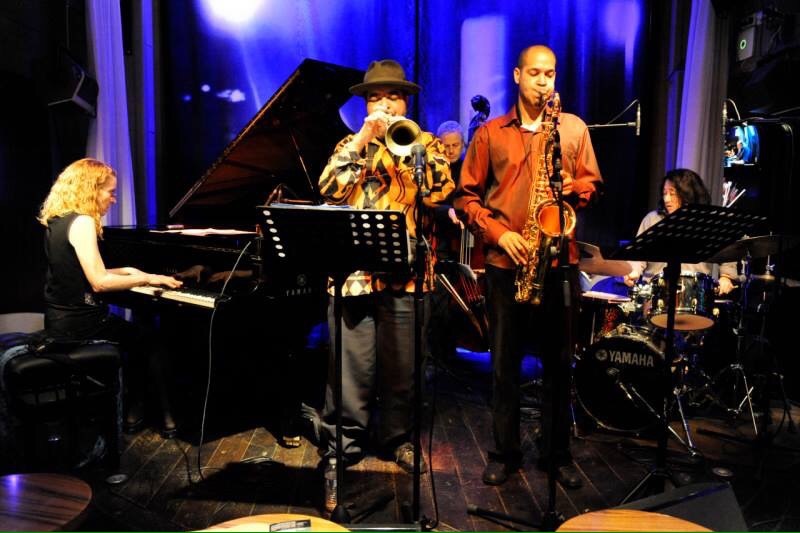 Rasul Siddik,(tpt), Ricardo Izquierdo, (sax), Dominique Lemerle, contrebasse, Ichiro Onoe, drums. This group has been together for years…fantastique! Lots of post-bop, originals, Woody Shaw, Joe Henderson, etc.